Mooer Audio micro effect pedals pack an incrediblity BIG sound into a very small package. The Hustle Drive has an ultra wide dynamic range and an extraordinary open tube-like drive sound. 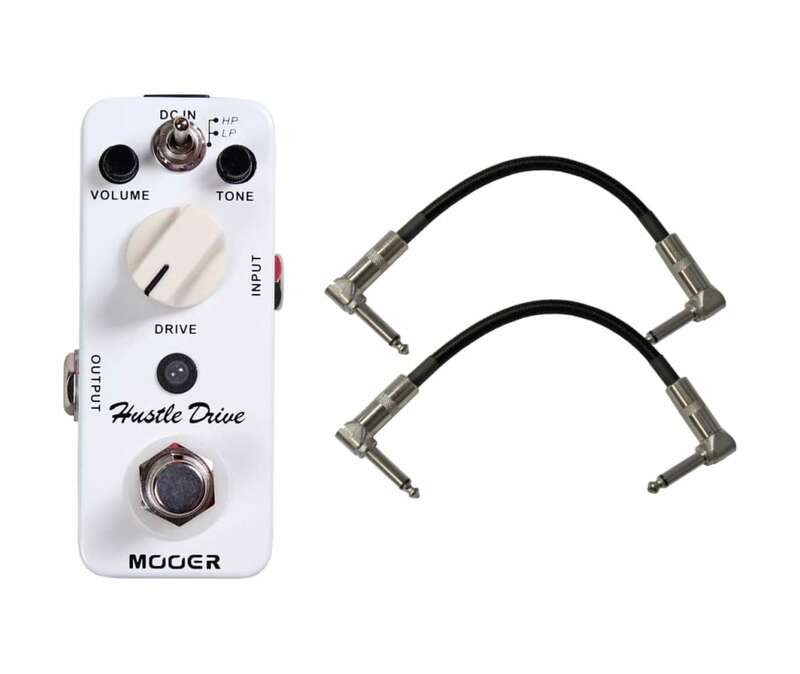 The Hustle Drive has two modes. 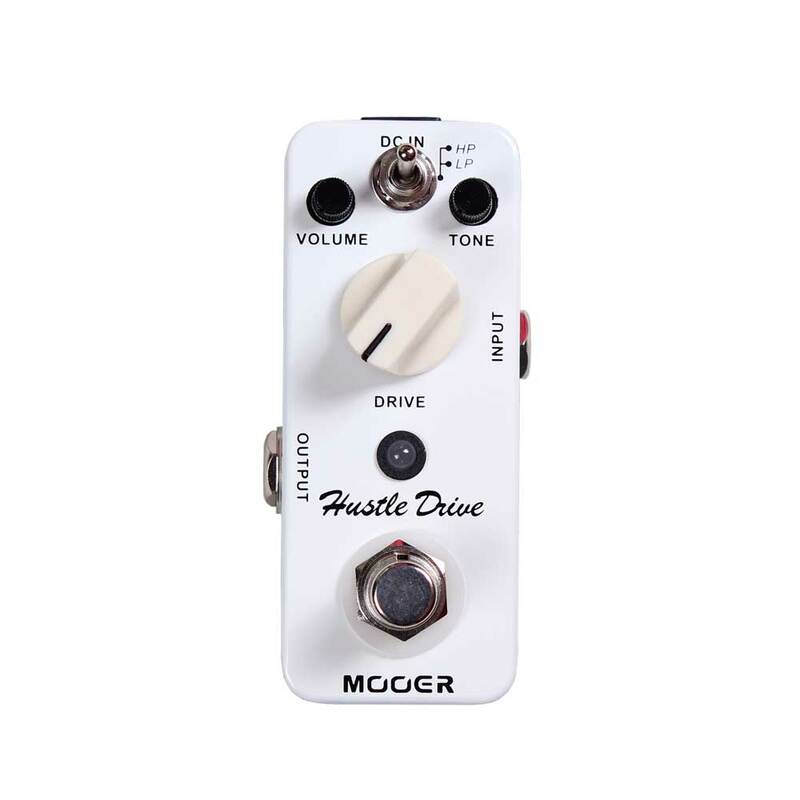 The HP or high peak mode, boosts up the bottom-end, when increasing distortion by Drive knob, you will get more volume and a slight increase in high-mid range (around 3.5KHz). The LP or low peak mode, adds very little color to the original sound, very nice for clean boosting.